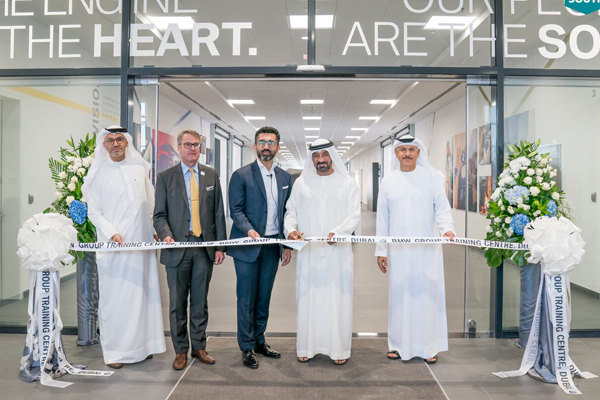 BMW Group Middle East’s newly opened and state-of-the-art training centre in Dubai South has been welcomed as a ground-breaking development that will allow the company to master the changes posed by the full electrification of transport in the region. Sheikh Ahmed bin Saeed Al Maktoum, president of the Dubai Civil Aviation Authority (DCAA) and chairman of Dubai Aviation City Corporation (DACC), led the inauguration of the BMW Group Training Centre today (February 27). Up to 2,000 members of staff will soon be enrolled on different courses at the new 5,300-sq-m centre in Dubai South as part of extensive training that will focus on BMW’s new generation of electrified vehicles. It also hosts a BMW Group Brand and Customer Institute which will promote brand orientation amongst staff even further. “This move is testament to Dubai South’s global reputation as a preferred free zone destination for leading global investors to set up their business. Our strengths and capabilities continue to serve their future growth targets through a range of efficient, fast, and flexible solutions and we will continue to enhance our strategies in this way to further enhance our relationship and partnerships with various government and private entities, be in the local, regional and international level,” he said. “The launch of the new facility is set to strengthen the UAE’s aspirations to become a leading logistics hub in the region and the world by adding a boost to the segment,” he added. “This project shows that our vision towards a smarter future is also fully aligned with UAE’s aim to become a strong global hub for innovation,” he said. “The centre will be an important hub where staff from our group’s regional network will be fully trained in BMW’s range of electric and hybrid vehicles, including the BMW i3s which will make its UAE debut in the near future,” he continued. Being based in Dubai South, a free-zone that forms part of a rapidly evolving 145-sq-km flagship urban project, means the BMW Group Training Centre is conveniently located next to Al Maktoum International Airport (DWC) and the Expo 2020 site.